Passion. Commitment. Communication. As a teacher, you play a critical role in the development of children and, ultimately, society. Learn how to be effective in today’s classrooms. Our programs are accredited by the Indiana Department of Education and the National Council for Accreditation of Teacher Education (NCATE). Upon successful completion of your program, you will obtain a license to teach in Indiana. With a major in elementary education, for grades K-6 licensure, you can also receive licensure in Mild Intervention (mild disabilities grades K-6). Take your study of education from theory to reality for three of your four years here. Observe in real classrooms, then serve as a teacher candidate, and finally, in a yearlong setting, where you'll student teach the second semester. 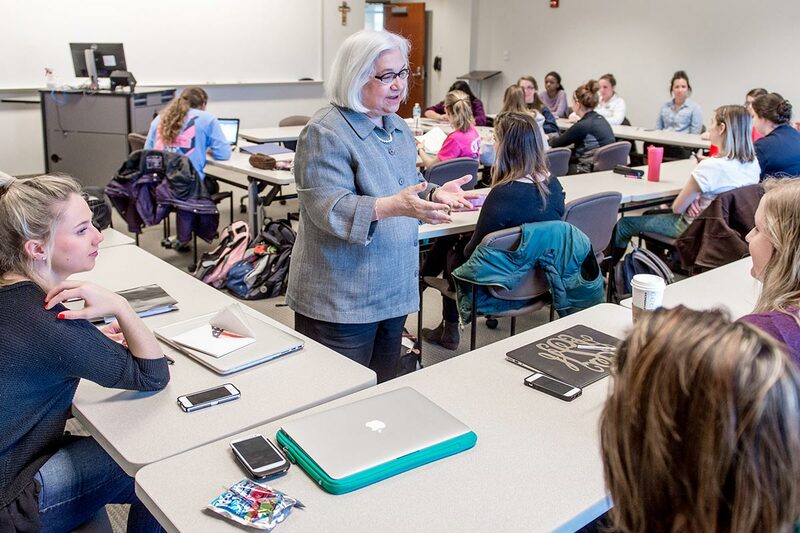 Multiple courses in teaching-specific areas are mandatory for all education majors. You will also study applied media and instructional technology, educational psychology, reading assessment and intervention, along with student teaching. Effective communication is an integral part of being an educator. We prepare you by strengthening your writing skills via unit plans, lesson plans, and reflections. Plus, you'll meet the advanced writing proficiency requirement, and practice communicating in our other liberal arts curriculum courses. Upon graduation, you will have many options for your future. Our faculty has the experience and knowledge to mentor you, helping to ensure your goals are met. Whether you move on to graduate school or into the classroom to teach, you will have the ability to succeed in a variety of areas.